These games have, as well as Aladdin, multiple levels which seem to be composed of tiles. 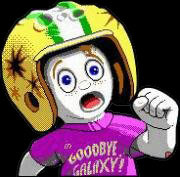 Aladdin seem to have two layers of objects - for "foreground" and "items", the background isn't fixed relative to the two other layers - it has parallax, which is not existent in Commander Keen at all. The only questions is the format of the levels and whether that's been decoded. There are many games we *could* mod (Biomenace) but aren't. I liked the Aladdin game though I couldn't get past level 5 cave of wonders without cheating. By the time I was on level 9 Jafar's palace, I wondered if I would ever be able to pass that one level with no cheats! Thanks for mentioning this game even though my reply was off topic. Morris Fudley has worn out this shower! Saaaay, fool! Back out of here just a shade? You gettin' close enough to dance with and lord only knows I did enough dancin' last night! Aladdin isn't even nearly as hard as Lion King. Lion King is terrible hard. Even the cheats don't make it easy to beat. The only two existing cheats are "restore health" and "skip level". There is no "god mode", no "no clipping mode", no "jump cheat". In the "Cave of wonders" you don't need to jump between the sinking islands on the water surface. It's possible skip that part even without cheating. The company that once created Aladdin and Lion King seems to be non-existent. And all versions of these games found in internet seem to be cracked (it asks for some words from the manual but the actual reaction of the games was changed to "press any key to continue"). I'm not sure that I manage to find also the original version with working copy protection. Re: Modding Aladdin and Lion King?